Flat panel LCD technology has never looked so great, until now. The new VIZIO VX32L offers incredible performance and value within a slim design 32" diagonal package. Watching DVD movies, enjoying your favorite ball game on TV, or being captivated by your local HDTV content, the VIZIO VX32L's high 1366 x 768 resolution, 178-degree viewing angle and blazing response time will impress even the most discerning of consumers. 32" HD 1366 x 768 native LCD HDTV - Experience the superb picture quality from a flat panel high definition television at an affordable price with the compact VIZIO VX32L HDTV. Integrated television tuner - enjoy high definition and regular television programs with or without paid high definition service. Zoom and Freeze Function - These functions are great when you have to copy down information displayed on the television. Do you have a favorite cooking show? 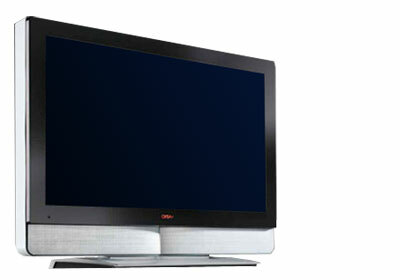 Versatile Design - Designed for maximum versatility, the VIZIO VX32L is equipped with a wide variety of input interfaces. HDMI for your High Definition Satellite or Cable Box. Component connection for your DVD player. RGB input for your computer. Go ahead, plug it in.